During Clap Happy each delegate finds a bright coloured pair of washing up gloves taped under their seat, the different coloured gloves relate to the different rhythms clapped, tapped and slapped, in this great motivator. Getting the delegates on their feet stomping, clapping and using all manner of body percussion, we build section upon section of simple yet effective rhythms and movements. Nothing comes close to the sheer exhilaration of a RIB blast on the Thames and the sheer fun and excitement of a climb, Up at The O2. Cap it all off by flying a simulated A380 Emirates Airbus in our event which will guarantee the most fun you will have in central London. By combining all these activities Team Tactics have delivered a thrilling action packed experience in Central London that cannot be topped! 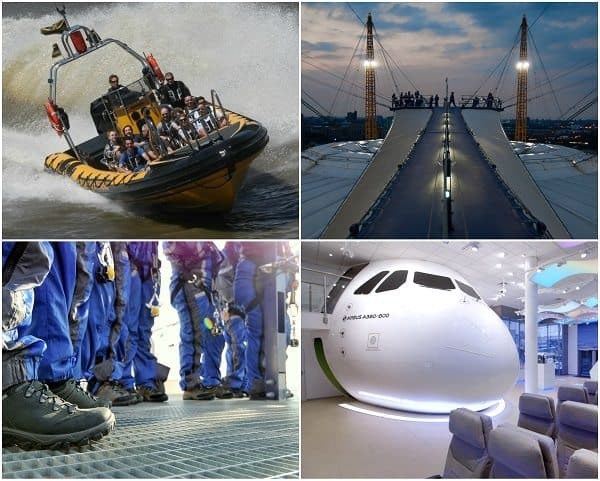 The Turbo Challenge combines three experiences, a Thames Power Blast, Climbing The O2 and flying a simulated plane. 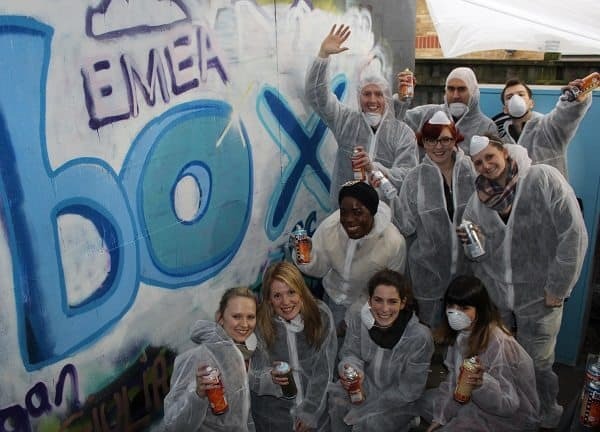 Our unique corporate graffiti Team Building workshops are the perfect way to encourage communication while finding the creative potential in all participants. This new and exciting workshop has a ‘hands on’ approach from the very start as the experts guide you through the basic techniques. The workshop will leave you amazed at the extent to which anyone can produce remarkable and authentic pieces of street art with the right tools and the opportunity to work in a supportive and fun environment! Setting out on a GPS Treasure Hunt each team is issued with a Samsung Galaxy Tab complete with the GPS app as they experience the most high-tech and interactive treasure hunt yet! The challenge is to navigate around the GPS hotspots to crack clues, complete challenges and earn as many points as possible. Only when the GPS verifies that you are in exactly the right location will your team be able to activate the hotspot and attempt the challenges! The Haka is a traditional, ancient Maori Tribal War dance that acts as a powerful conference energiser or teambuilding activity. For centuries native Maori tribes have used the power of the Haka to unite and tackle challenges head-on. It is just as effective today and provides the opportunity for your team to grow together. This is a highly interactive and engaging activity which brings people out of their comfort zone. 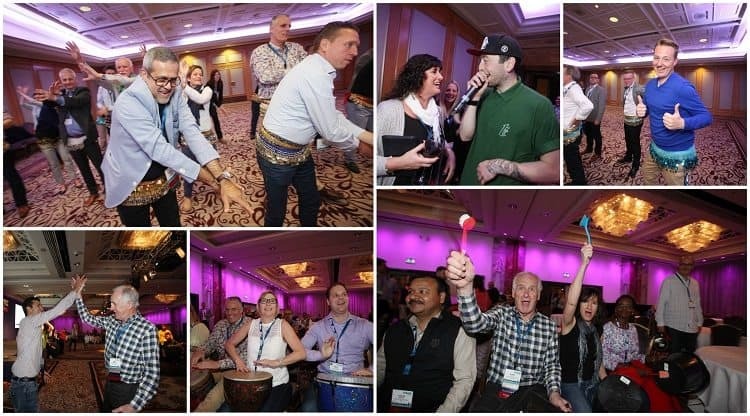 All of our engaging team building London events can be found here, please contact us if there is a particular event you would like to book or if you want us to create a superb bespoke event.